As The Women’s Collective’s care program targeting women living with HIV grows so does the number of women participating and the wide range of services that are required to meet their need. Again and again we hear women identify job readiness programs that would provide education and employment support as a priority. So many women come through our doors and express frustration around the fact that they have difficulty getting experience, finding available jobs, filling out job applications, creating an attractive resumes, and drafting an effective and compelling cover letter. Center for American Progress. The Straight Facts on Women in Poverty. October, 2008. They are desperately seeking a way out of poverty for themselves and their families—a poverty that is incredibly pervasive among women and African-Americans in D.C. 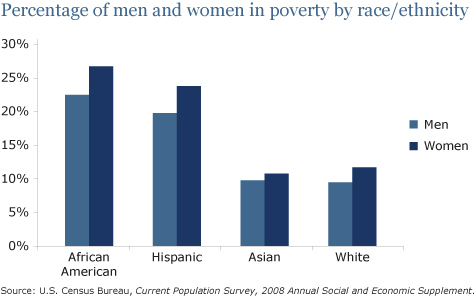 In all racial and ethnic groups, women are poorer than men. Black and Latina women are twice as likely as white women to be living in poverty. In fact poverty is the single most important factor in whether inner-city heterosexuals are infected with the AIDS virus according to the Centers for Disease Control and Prevention (CDC). Our medical case managers take a number of steps when a woman comes in looking for a job or for help with a job application. Often, staff members (whether it’s the medical case manager, community health worker, or even a youth team member) take the time to help clients edit their resumes, craft their cover letters, and fill out and submit their applications. However, staff have full case loads, and are not always able to carve an hour or two out of their already packed day to work on an application or a cover letter with a client. In addition, we make a wide range of referrals to job readiness centers throughout Washington, D.C. that provide job skills, resume assistance, mock interviews (including both the interview and “dress for success”), computer skills, on-site counseling. One relationship we have begun to forge is with Byte Back that seeks to improve economic opportunity for individuals. Their goal is to provide high quality computer courses to unemployed and underemployed residents and support them in obtaining employment that pays a “living wage.” They also provide job readiness assistance such as mock job interviews, resume writing skills, and assistance with job searches. If community-based organizations (CBOs) that are already providing myriad support services for women had additional funding to hire staff, they could either free up time for their current staff to work one-on-one with women who are seeking employment search support or they could hire employment counselors and computer training specialists that would provide services on-site. This could work in two ways: women who are in need of employment support services might be more encouraged to see their medical case managers, and check in about their care, because they’re already on-site and, likewise, women who are already on-site for any of the other services offered by a CBO would be able to take advantage of the employment support services without the added burden of additional transportation or child care. We will be seeking ways to build this type of funding and more synergy with CBOs throughout D.C. and across a range of services. Each service and referral that The Women’s Collective provides is important to the women we serve. The Women’s Collective provides a combination of services for women to overcome barriers that keep them homeless and/or destitute and that prevent them from accessing care and taking control of their health. We can only do so much—we need additional unrestricted funding and strong partnerships with CBOs so that we can continue to keep women moving forward on a path out of poverty. 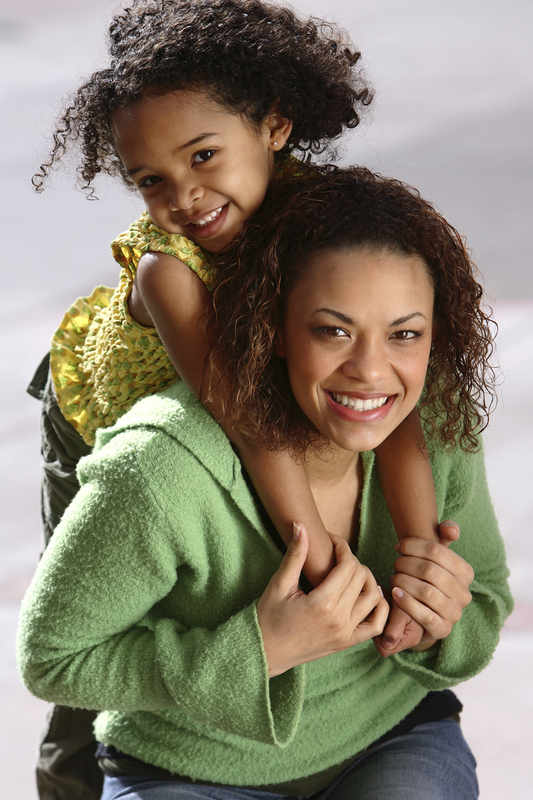 The Women’s Collective will continue to foster, nurture and provide encouragement to turn a life around. 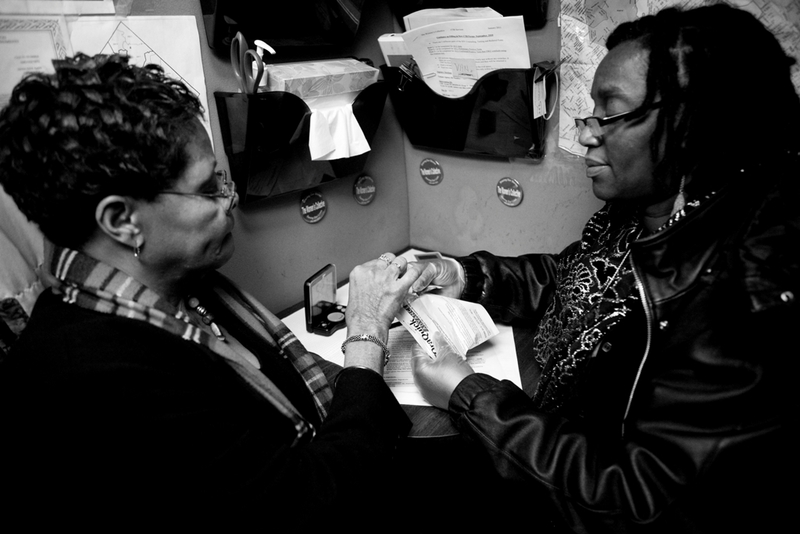 The Women’s Collective offers free HIV-antibody counseling and testing at our office, at partner agency sites, and at locations throughout Washington, D.C. through our mobile testing unit. By taking our testing service “on the road,” we are literally able to meet women and their partners where they are—in their neighborhoods and as they access services from other D.C. organizations. In order to determine where we’ll be offering testing throughout the city, we gather information from “gate keepers” (respected leaders in the community), ward mapping, epidemiological data, and staff to identify areas in which D.C. residents are at highest risk. Then we take our testing on the road. Our work with the community doesn’t stop with an HIV test—we strive to meet other needs by providing referrals, as well as various incentives. Incentives both encourage individuals to get tested and help them meet individual needs—we vary our incentives depending on the needs we’re seeing out in the community. For example, we offer gift cards to local businesses, including Subway, Murrays, Giant, Dollar Tree, and McDonald’s. We also offer hygiene bags, which include toothpaste, toothbrushes, underwear, body wash, body lotions, and seasonal clothing items, and grocery bags of boxed and canned foods. In warmer weather, we offer TWC-branded clothing as an incentive such as a tank top and tights or a dress for getting tested. Anyone who refers a friend for testing receives a pair of flip-flops. In reviewing client files as part of our quality assurance (QA) process, a pattern emerged that many individuals who received HIV testing frequently asked for referrals to a food bank. Our team met to discuss this trend and developed an incentive in response. We purchased bulk canned and boxed groceries (including pasta, mac and cheese, ramen noodles, mashed potatoes, sloppy Joe, chili, Vienna sausage, apple sauce, vanilla pudding, beef ravioli, and other nonperishable products) from a grocery store, which were divided up and placed in bags. We placed a bright fluorescent poster aboard our unit that reads, “Get a Bag of Groceries + a Free HIV Test.” This incentive directly meets need in the community we serve, especially among women who have children and limited household budgets. Incentives are an integral recruitment strategy for HIV testing. Incentives have helped us to reach our monthly testing numbers and have surpassed our program testing objectives annually. They also provide us with an opportunity to address a widespread need in the D.C. community that directly ties into the crippling poverty that exists in some neighborhoods—primarily the neighborhoods that we serve. The Centers for Disease Control and Prevention (CDC) has identified poverty as the single most important factor in whether inner-city heterosexuals are infected with the AIDS virus. Strikingly, according to the D.C. Fiscal Policy Institute, 1 in 5 D.C. residents lived below poverty in 2012; 26% of Black residents lived in poverty compared with 7% of White residents. Among female-headed households, the poverty rate is a staggering 32%. These statistics most certainly contribute to the high rate of HIV in D.C. as the lack of economic and educational resources and opportunities impacts the health and well-being of communities. HIV testing can be the gateway to other services and support that can contribute to ensuring individuals take control of their health and improve their quality of life. At The Women’s Collective we believe that we all can and must do more to support those in D.C. who need the most as resources continue to become scarce.